Youcef Nadarkhani, a church leader once sentenced to death for apostasy, is one of four converts currently facing charges for ‘acting against national security’. 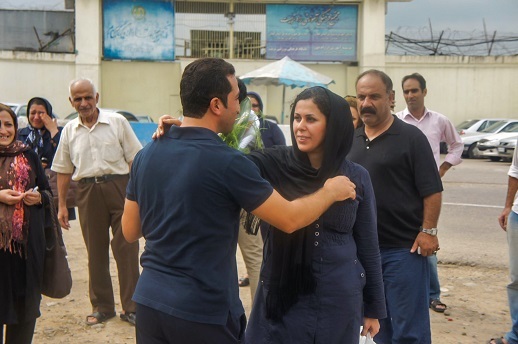 Here, he greets his wife, Tina, after his release from prison in September 2012. Nineteen NGOs, including Middle East Concern, Article 18, Impact Iran and Justice for Iran, issued a joint call for governments to “explore avenues beyond dialogue alone” to ensure that human rights violators are held accountable and that trade and diplomatic relations do not contribute to further abuses. They noted that converts from Islam to Christianity have been especially affected.